You are here: Home / Listen! Europe needs to know Jesus! “I was expecting a wonderful experience. But not something that inspirational. Both for me and for my IFES group (GBU) in Milan. It was amazing to experience a connection with other students as we prayed together in different languages. And it was amazing to see how big IFES is — to realise that we are involved in a huge international project. But one stand-out moment for me was hearing a man share his testimony on the last night. He had grown up in a Muslim family in the Middle East. As part of his study, he spent a few months in France as an international student. There he had met some Christian students and started reading the Bible with them. Just three weeks before he left France, he gave his life to Christ. That man now works with IFES students in the Middle East. After hearing his story, I felt convinced that we need to make more of the opportunities we have to reach international students. We are used to praying for missionaries all over the world, but what about the hundreds of international people around us? They need to know Jesus! And they can be a powerful testimony in their own communities when they go back. The time they spend in our country might be short, but it could be enough. My friends and I came back from Presence spiritually charged, full of ideas and with a new heart for international students. Since then we’ve started having Bible studies in English as well as Italian. In my university we have a lot of international students — mostly from China, India, Pakistan, South America and other countries in Europe. They are from different religious backgrounds. Generally, we find that they don’t know much about Christianity, but they are more open to speaking about spiritual matters than our Italian friends. Sometimes their questions surprise me. They are curious. Talking about our souls and our sin is not weird to them. Before Presence I was interested in international students, but I was scared because of the language barrier and I wasn’t sure what approach to take. After Presence we decided not to worry about those things. Our English is not perfect and our Bible studies are not always the best. 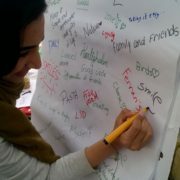 But the important thing is to make the international students feel loved and welcome. 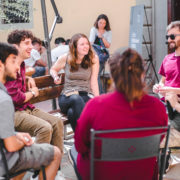 We’ve started hosting evangelistic events each month — usually themed parties, like The 1950s, Pizza, Movie Night, The South of Italy… We’re learning to have someone there to translate everything into English, and we’re trying to think about how to manage food, games, music and a presentation of the gospel in the most effective way. Sometimes we’ve had up to 60 students! We’ve also gone out to meet students on campus. Now we’re working to create a little guide about how to survive at university here, which includes some information about GBU. To IFES groups that haven’t yet started engaging with international students I would say to risk it because it’s really worth it. It’s a great opportunity to discover other cultures and to test your faith. Pray for your universities and let yourselves be amazed! The impact of Presence was felt across the whole region, as students fell more in love with Jesus and caught the vision for sharing Him on campus. Many mission weeks happened in new cities as a result of Presence. But IFES Europe still longs for more. It longs to see revival. In its Christian students. In its universities. In its nations. 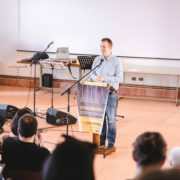 Revive, the next European evangelism conference, is taking place in Germany, 27 December 2019–1 January 2020.
https://gbu.it/wordpress/wp-content/uploads/2019/03/1_VjX5kYFYI3FIYbIq5T_z3Q.jpeg 315 1000 Luisa Pasquale https://gbu.it/wordpress/wp-content/uploads/2015/09/GBU_bandiera_RGB_logo_colore-300x172.png Luisa Pasquale2019-03-08 09:48:372019-03-08 13:08:59Europe needs to know Jesus! Every year in Slovenia, ZVEŠ the local GBU/IFES movement organises a festival in memory of Primož Trubar, a very important cultural figure for Slovenia. This is because after his conversion to the evangelical faith, actually during the Reformation years, he wrote the first books in the Slovene language. This year the Italian GBU sent a small delegation of students, all from groups in the Veneto region of Italy. This is already a reason to praise God, because a few years ago there wasn’t even one GBU group in all the region, but today there is a good three groups! 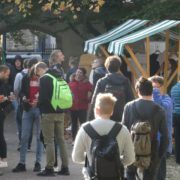 One of the main reasons for the trip was to help the Slovene students in evangelistic activities; during the day we had conversations with students, we tried to make new contacts, and most of all invite people to the evening events. There, an artist commented on an art piece painted during the Reformation times with interesting spiritual discussion points. 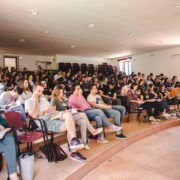 And that wasn’t all, being there was also a way to encourage the few students who work for the gospel in Slovenia: in Ljubljana there is only one student and one staff, and between all of the universities there are about five students! They really thanked us for our presence, they were enthusiastic that we were there. We also encountered a culture very different from ours, even though we are geographically close. We tended to find students more introverted compared to those whom we’re used to, so it was a bit more difficult to start conversations. Although this difference was noticed less in Koper, here the presence of Italians is much stronger, and so in effect here we felt more ‘at home’. Some students we talked to were catholic, even if probably the culture is more secular than ours; and certainly you can’t forget the minority of Orthodox and Muslims, whom we didn’t have the opportunity to be in contact with. One thing which struck me was the deep sign that the civil wars of the 90s had left in the collective memory, particularly among the older people they frequently mention Yugoslavia. Even if the students whom we met grew up after the conflicts, it is always a fundamental aspect of the cultural context in which they move. 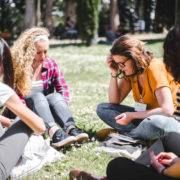 We Italians also had opportunities to meet to study John 12 and reflect on the content of our message: Jesus, the light which reveals God and whom God has sent into the world to give glory to himself. Through the death and resurrection of the eternal son, equal with God but also in submission to and obedient to his will. The Gospel reminded us that it is no surprise when Jesus is rejected, since also his peers and compatriots did, but also whoever believes and sees the light can only do so by the grace of God. It was a great experience for everyone, personally I returned home determined to build more relationships with the students around me, aware of the enormous privilege which I have to be a servant and friend of the Only True God. When I learned, a year go, that I had been accepted to the University of Pisa, I did not want to go. Now, a year later, I find myself gladly embracing the offer of becoming a GBU student leader in this same city. It is incredible and wonderful how the Lord is able to change and mold situations, and the way we see them. A year ago I had only a vague idea of what GBU was, I knew that the group was trying to re-launch after a few years of silence, I knew that there was a need for people who had the desire to share Jesus with students. 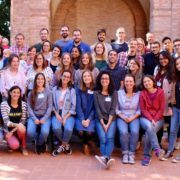 When I came (reluctantly) to this city, I met the group and during the course of the year I also met staff and volunteers and saw their strong passion for the ministry in the university. It was a contagious passion, beautiful to see from the outside, and slowly, the desire to help this project in some way started to grow in me. In September, when Zach (the Pisa GBU staff worker) asked if I would become one of the student leaders, I accepted and I also signed up for the Student Training Weekend, but I was still full of doubt and fear. Will I be able to manage my time wisely? Will I be a good leader? Will I be able to dedicate myself earnestly to the GBU without neglecting my studies or other commitments? Will I be able to share the Gospel with strength and without shyness? Questions that I’m sure other people ask themselves, too. Well, I never would have imagined receiving so much in 3 days. Besides the answers to all my questions, I’ve been filled with strength, enthusiasm and motivation to start this new academic year. I had never studied the epistle to Titus in depth and I would never have thought that these three chapters could contain so much. The answer to my questions arrived immediately: if I hold firm to the trustworthy word, not only the Lord will change me, but He will make me able to encourage others. I cannot be perfect, and never will be, but I can and I must hold firm to the trustworthy word. This is what gives me life, what shapes me and teaches me to face every day of the academic year. I don’t want to worry anymore about the challenges of being a student leader: the Lord only asks for a heart willing to serve Him, He will take care of everything else! So here I am, in a city that a year ago felt dreary and that now makes me feel joyful, and I have a great desire in my heart: to share Jesus, from student to student! The day of the GBU Student Gathering (“Festa GBU”) had arrived. The preparations to bring along the whole family and the expectations of having my husband and children enjoy the special atmosphere of the “Festa” with GBU groups from all over Italy fell through at the last minute. I found myself alone and having to make new travel arrangements, finding a ride with young students and friends I hadn’t seen in a while. Many thoughts were running through my head: a sick child at home, a quarrel with my husband, two dear friends who were facing serious family problems, an issue to face within the GBU board, a members meeting I had to lead. I wasn’t feeling any joy. I wasn’t in the mood to talk to new students and get to know them, nor of having the burden of responsibilities and intense discussions. Yet, I had to. I desired to have a special encounter with God, just like when I was a student. I whispered a quick prayer as I hopped in the car: Lord, I want to strip myself of all the emotional and physical baggage and let you lead me by your grace in these next days. The first thing that eased the tension was the road trip: the kindness and pleasantness of my travel companions helped me get rid of the sense of inadequacy I felt due to the age difference. Many small surprises followed, and touched me deeply. The stories of two students who met the Lord at university through the GBU, reminded me of how important it had been for me, at the time of my university studies, to meet a group of students who loved the Lord and read the Bible on campus. Thanks to them my life changed radically. And what about the unexpected encouter with a former board member and life long supporter of the GBU? It rolled back the years of the history of the GBU movement, I could sense how alive and precious is the commitment of the people who believe in this mission because, just like me, they have received great blessings and benefits from the GBU. God wanted me to be a witness of the spiritual handover of the GBU, teaching me at the same time that He is sovereign over my life and the life of the GBU, that He knows best how to lead the people and the mission. But the greatest joy was digging into the text of John 3:22-36, fully understanding what happened and being surprised at how a text I had read so many times was still communicating something very personal to me. What is my joy dependent on? On what others say about me? On being, or not being, acknowledged and appreciated for what I say or do? On what I have or, even more, on what I do not have? If it depends on all this, obviously my joy will be fleeting, it will come and go. But my joy can be full and complete, when I cultivate my relationship with Jesus. And so it was for me, deeply experiencing in these few days that although I started in a #neverajoy situation, with Him I ended with one of #completejoy. 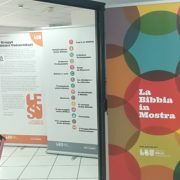 From 27 until 29 March 2018 the “Bible on Display” event took place at the Magna Graecia University of Catanzaro. The exhibition was carried out in the Department of Medicine and General Surgery, offering an overview of the Bible, its contents, reliabilty of the text from a historical/scientific point of view, the invaluable message of life offered by Jesus, its evolution through printing etc. It is very easy to set up, as roll up banners are used. The exhibition can be shown in any kind of venue, preferably sheltered. #maiunagioia (never a joy), this is the hashtag of the moment between high school and university students. The hashtag is ironically associated with moments of daily life where unexpected or improbable small things provoke a small amount of frustration and nervousness for the misfit students. While all this is tackled with great irony, it hides a real and profound generational discomfort.  “Economic crisis”, “youth unemployment”, “uncertain future” are everyday expressions for students, expressions which they identify with and can identify themselves. We find ourselves too, in front of generation #maiunagioia, made up of young people without goals and ambition in life, who are left to lose, who do not fight for anything, who are not passionate about what has a real ethical and moral value, but can however talk at great length about the latest episode of “Games of Thrones” or the latest results of reality TV. It is an inept and apathetic generation that has lost its compass, who does not know who to turn to and who does not know who to trust. It is a generation that does not believe. Neither in itself, nor in anyone else. 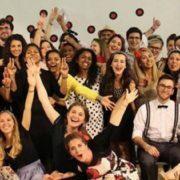 In this bitter description, which certainly does not include all the students of today, there are still a good number of students and young people (and adults) who attend evangelical churches. We see it in our GBU groups and, indeed, in our churches. How is this possible? Yet in fact many Christians live without joy. Why? I would say a lack of a true and authentic relationship with God. If this relationship exists, it is not possible not to enjoy it. Of course, it doesn’t mean that there are not moments of discouragement. These may come, but sadness cannot be the leitmotif of a Christian’s life. The joy that the world offers is a sensation, moments of escape that make our hearts jump for joy. 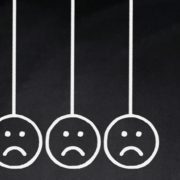 The joy that a Christian feels, however, is not a moment of happiness, an emotion, even if given by a particularly amazing and intense moment experienced in the church or at the GBU conference. Joy is a condition of life, founded not on experience, albeit extraordinary, but on the truth of the Word of God. As a condition of life, we do not expect a Christian to be jumping around all the time, but we expect his life to be full of Christ, his peace and his joy, and that in difficulties that can make him suffer terribly, the joy given by the sacrifice of Jesus, by salvation, by the fact of having the omnipotent GOD as father will not fail. Many Christian students know this truth, but they don’t live it out fully. And so their faith and hope in God becomes just a crutch that helps them to keep going in this sad, difficult and unsatisfactory life. This is often the faith that is shown to our friends and colleague and therefore a reason that they don’t come close to Christ. 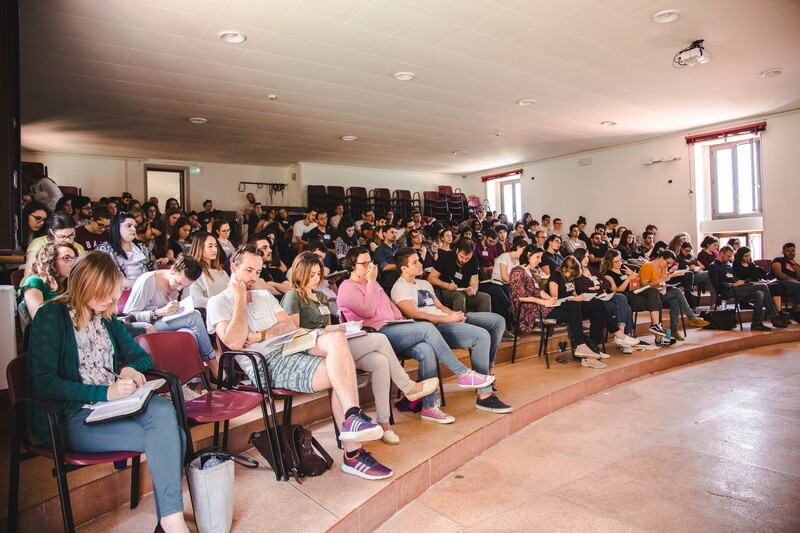 I think of the power of the Gospel and I think that if students at universities were filled with this power, the Italian Universities would be hit like a tsunami. I think it is fundamental, therefore, that students realize the profound joy of belonging to Christ, the #veragioia (true joy). I believe this can happen if students start looking for an intense relationship with Christ. So more than organizing events or strategic evangelism, there will be students full of joy, zeal, and the Spirit to make the difference and to proclaim the Gospel message with conviction and effectiveness. This will be the theme of our National Student Conference at the end of April! In other words, does it make sense to strive for the proclamation of the gospel in universities? There are so many important ministries out there and I want to be sure that I am dedicating my time and energy to something that is really worth striving for. https://gbu.it/wordpress/wp-content/uploads/2017/10/Guida-5.jpg 1200 1600 Luisa Pasquale https://gbu.it/wordpress/wp-content/uploads/2015/09/GBU_bandiera_RGB_logo_colore-300x172.png Luisa Pasquale2017-11-02 12:04:542018-01-26 14:33:02Is it worth it? 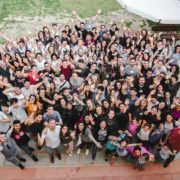 Go to the IFES website to find out everything about WSD 2017 and how you can pray for students all around the world! If someone told me that in three days, God would answer so many questions and make me understand so much about my life, I wouldn’t have believed it. When I was encouraged to do the GBU Training Weekend, with the aim of becoming a coordinator, I already had the answer. But thanks to God, he had a different answer in mind. As my head was saying “No,” before I knew it, I had already accepted the proposal and I had the strength (which until a few seconds before I thought I didn’t have), to make me want to begin this new experience right away. God has plans bigger than I can have for me and GBU Training has given me the ability to understand it more and accept it. I was a little worried and wondered why I was there. Why me?! 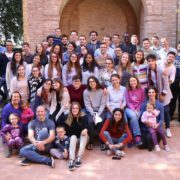 During these years within GBU, I have met so many coordinators and staff members and I admired their preparation, their seriousness and their organization … Why did God call me to do this? 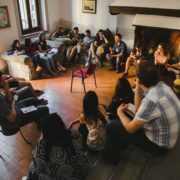 At GBU Training, I have been given the opportunity to meet people from all over the world, with different ways of doing things, different characters and thoughts, but with the same motivation: to know and to be used by God. As the feeling of how I could do this got stronger, I was also faced with the beautiful and delicate question – Who are you in God? Not according to yourself, not according to others, but according to God! I am His daughter; we are His children. God had spoken to me: each one of us was created in a different way, but in His image. Each of us has a function and a value that brings light to God’s service. We must leave room for God’s vision, not for our own. We need to understand who we are, not by ourselves but through God. 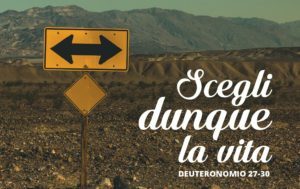 I still had a question, an uncertainty, and that is why I was very happy that the Bible study we looked at in Deuteronomy 27 – 30 covered this. I asked God that his will be done in my life, but would I be willing to accept it? To obey him? What would I receive in return? I have seen how God is committed and engaging with me every day, how He blesses me and makes my life great. 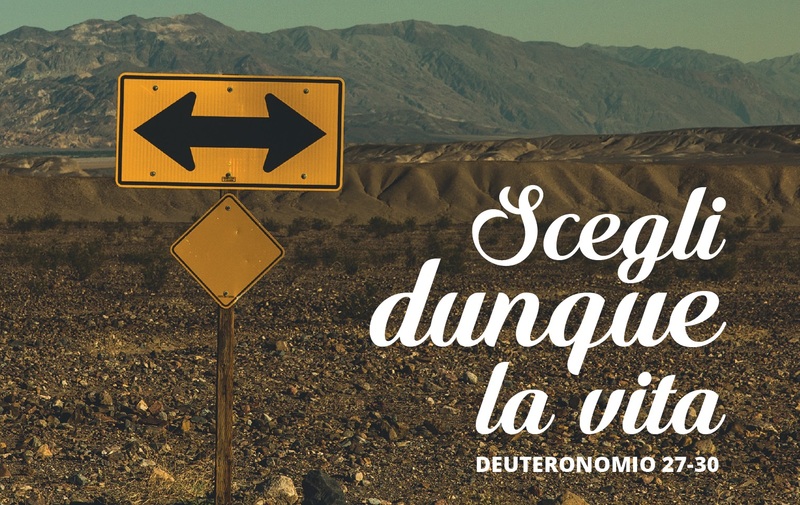 That is why I have decided to commit myself totally to God so that I can admire His beauty in the awareness that I cannot change by myself, but with the certainty that the Lord is at my side and will help me, as he did with his people . In this new academic year, I made my choice: To share Jesus from student to student!